The pumpkin patch is ready for visitors. Pumpkins have been selected, and passengers are boarding the train for the return trip to the depot. Passengers are busy selecting their pumpkins. Take the family on this one hour and thirty minute journey (across our 156′ tall Bass Point Creek High Bridge, and the Des Moines River Bridge) to the Boone & Scenic Valley Railroad’s pumpkin patch. Once at the patch, children will be able to select their perfect pumpkin before returning to town. On the return trip, children will receive an activity booklet and a treat. Tickets for the 2019 Pumpkin Express trains go on sale August 12th. Everyone is more than welcome (and encouraged) to wear their costumes. 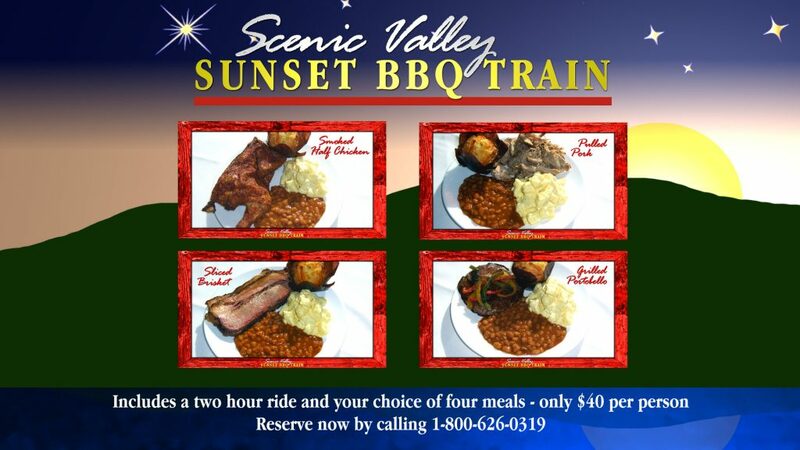 Click “Tickets” on the menu bar at the top of the page or call 1-800-626-0319 (during our normal business hours). All tickets will be held for pick-up at the depot ticket window on the day of your ride. As these trains sell out quickly, advance ticket purchase is highly recommended. Pumpkin Express trains leave the station promptly at 10:00 AM. Trains will not be held for late arrivals. It is recommended that guests arrive at least one hour before their scheduled departure. This will allow you ample time to find a parking space, pick up your tickets, use the restroom, etc. Seating for Pumpkin Express trains is assigned by party. If you would like to be seated with another party, please let us know at the time you place your order. No. Only classic coach class seating is available. The ride is approximately one hour and thirty minutes in length (round trip). On-site parking is available. Street parking, and parking in nearby lots is also available. There is no additional cost for parking. Trains operate rain or shine. Cars are not climate controlled. Please be sure to dress for the weather! Strollers are not allowed on the train. Stroller parking is available inside the ticket office. Unfortunately, pets are not allowed. Only service animals will be permitted.